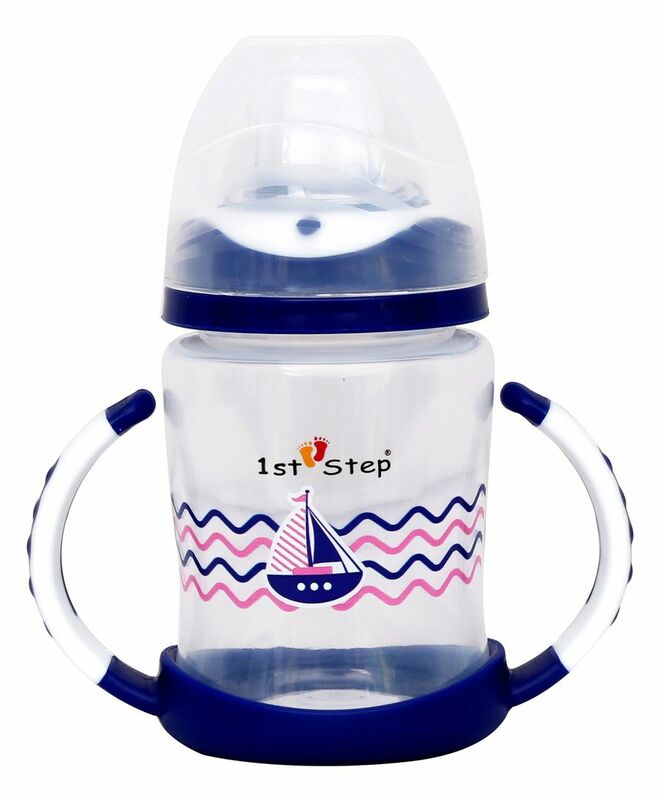 1st Step BPA-Free Sipper cup is made using the highest quality food grade material. Designed to make transition from bottle easier, this sipper cup makes feeding easy and hassle free. The included cap is provided to cover the spout when not in use and to keep the area clean for next feed. 1st Step sipper helps improve baby's drinking patterns and promotes convenient and trouble free switching from bottle. Care and warning: Wash each part separately immediately after use with warm water. Do not clean using harsh chemicals. Before first use, place in boiling water for 5 mins.